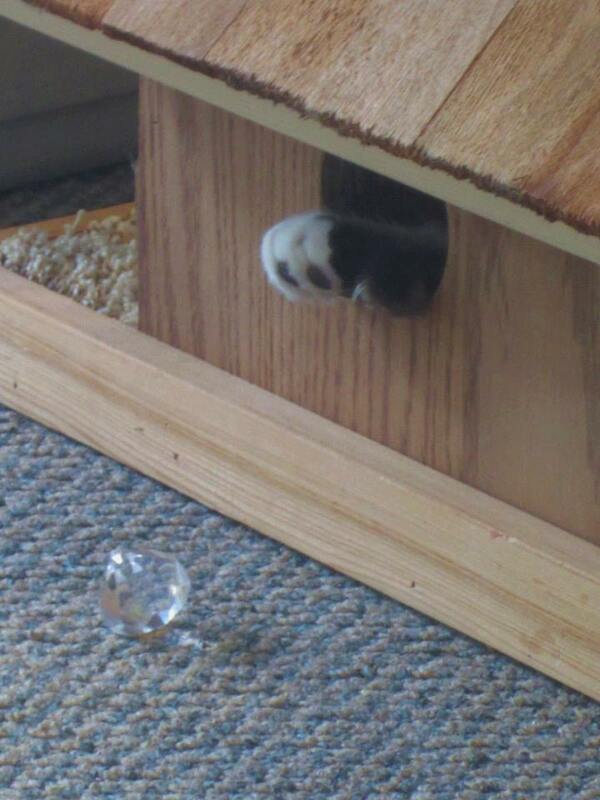 Let your cats play hide-n-seek with these paw ports. The ports are 2 1/2" in diameter each. There are 2 on each side of the house and 1 in the back of the house. Your cats can put their paws through the holes and play with you or their brother and sister!